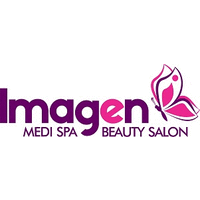 Businesses offering beauty and body treatments want their customers returning month after month and in many cases maintaining a membership for these services. Using texting to set up initial and follow-up appointments for treatments is highly effective. This can also work with your existing customer service systems and processes. 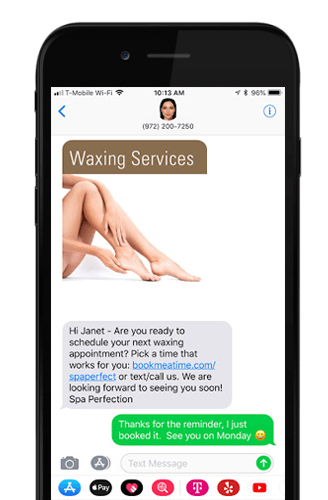 Spas can use engaging mobile coupons to promote new services and products to increase business from existing clients as well as to encourage referrals. You can also communicate useful video tips or “specials”. Textellent supports a variety of automated campaigns to help you communicate with clients throughout the year in personal and meaningful ways. Empower clients to make appointments for their desired services, conveniently on their own. After we texted this month’s spa promotion to our clients we saw a 30% increase in revenue – we were thrilled! We are so excited to be using the Textellent service.